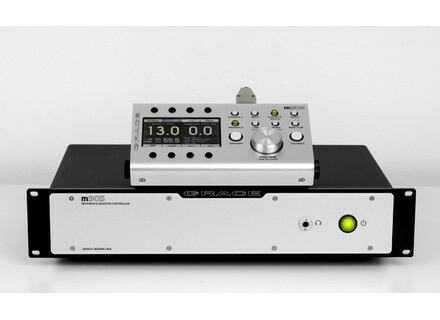 m905, Monitor Controller from Grace Design. 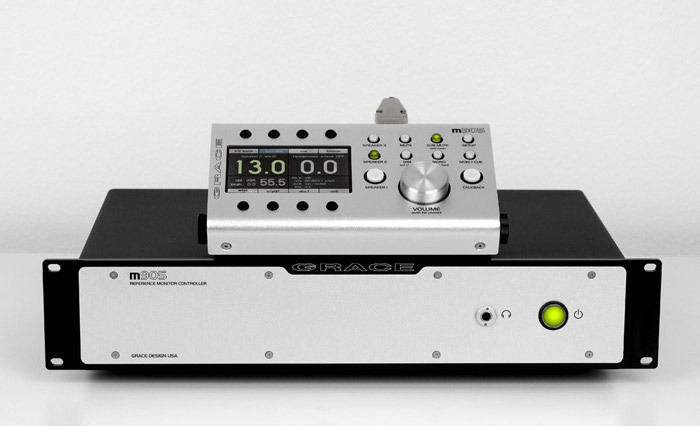 Grace Design have recently announced a new reference monitor controller. The m905 is their second generation stereo monitor controller. Included are audio inputs and outputs, both analog and digital, with an asynchronous USB input for 24/192 computer playback. Outputs include 3 stereo speaker sets, two subwoofer, and our reference headphone amplifier. The remote includes a headphone output, talkback microphone, and dedicated real time SPL meter. For more details, check out Grace Design. [AES] Unity Audio Avalanche Unity Audio will preview the forthcoming Avalanche sub-woofer at the AES San Francisco 2012 show. [AES] Fairlight Quantum At the AES 2012 show Fairlight will introduce and debut their new Fairlight Quantum, an Audio Post Console. [AES] Sontronics Sonora 2 Sontronics will introduce its Sonora 2 preamp/DI at AES in San Francisco.